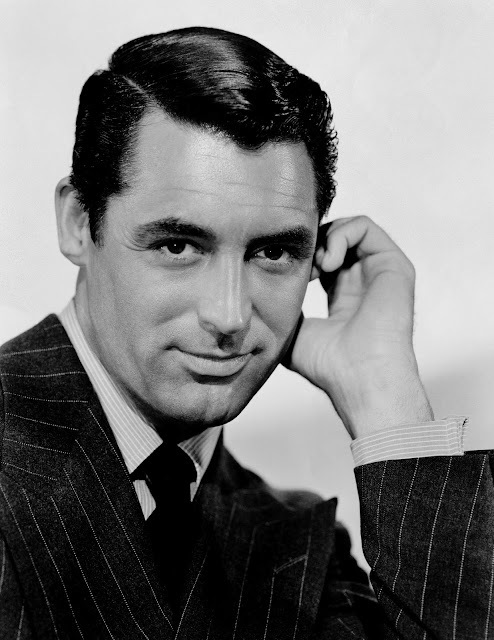 Cary Grant was born today, January 18, in 1904 as Archibald Leach. He was not just a film actor, but one of Hollywood's definitive leading men. He began a career in Hollywood in the early 1930s, and became known for his transatlantic accent, debonair demeanor, and light-hearted approach to acting and sense of comic timing. Born in England, he became an American citizen in 1942. Grant became attracted to theatre at a young age, and began performing with a troupe known as "The Penders" from the age of six. After attending Bishop Road Primary School and Fairfield Grammar School in Bristol, he toured the country as a stage performer, and decided to stay in New York City after a performance there. He established a name for himself in vaudeville in the 1920s and toured the United States before moving to Hollywood in the early 1930s. He initially appeared in crime films or dramas such as Blonde Venus (1932) and She Done Him Wrong (1933), but later gained renown for his appearances in romantic comedy and screwball comedy films such as The Awful Truth (1937), Bringing Up Baby (1938), His Girl Friday (1940) and The Philadelphia Story (1940). Along with the later Arsenic and Old Lace (1944) and I Was a Male War Bride (1949); these films are frequently cited as among the all-time great comedy films. Having established himself as a major Hollywood star, he was nominated twice for the Academy Award for Best Actor, for Penny Serenade (1941) and None but the Lonely Heart (1944). In the 1940s and 1950s, Grant forged a working relationship with the director Alfred Hitchcock, appearing in films such as Suspicion (1941), Notorious(1946), To Catch a Thief (1955) and North by Northwest (1959). Hitchcock admired Grant and considered him to have been the only actor that he had ever loved working with. Toward the end of his film career, Grant was praised by critics as a romantic leading man, and received five Golden Globe Award for Best Actor nominations, including Indiscreet (1958) with Ingrid Bergman, That Touch of Mink (1962) with Doris Day, and Charade (1963) with Audrey Hepburn. He is remembered by critics for his unusually broad appeal, as a handsome, suave actor who did not take himself too seriously, possessing the ability to play with his own dignity in comedies without sacrificing it entirely. His comic timing and delivery made Grant what Premiere magazine considers to have been "quite simply, the funniest actor cinema has ever produced." Grant was married five times; three of his marriages were elopements with actresses—Virginia Cherrill (1934–1935), Betsy Drake (1949–1962) and Dyan Cannon (1965–1968). He has one daughter with Cannon, Jennifer Grant (born 1966). 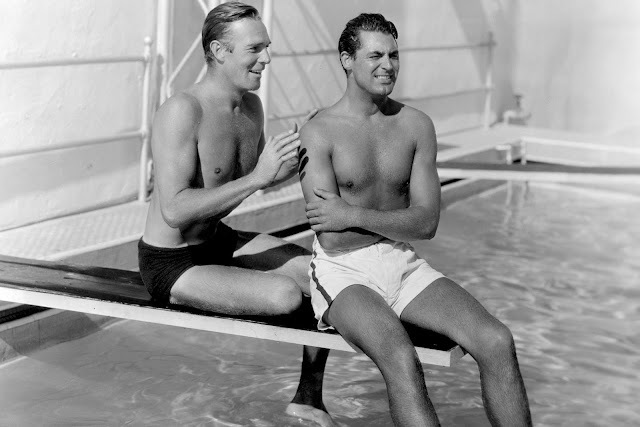 Grant denied he was gay, but lived with actor Randolph Scott off and on for 12 years, which several authors have claimed was a gay relationship. The two had first met early on in Grant's career in 1932 at the Paramount studio when Scott was filming Sky Bride at the same time as Grant was shooting Sinners in the Sun, and moved in together soon afterwards. Also, there were other claims that Grant had sexual relationships with men, including this report from from 2016 in the New York Post. Cary Grant shared a Greenwich Village love nest with an Australian man who went on to win three Oscars. That’s the provocative claim in “Women He’s Undressed,’’ a new documentary about celebrated costume designer Orry-Kelly that adds a tantalizing new chapter to decades of speculation about Grant’s sexuality. Kelly, who was seven years older, writes in his memoir that he met the struggling performer Archibald Leach — who would change his name to Cary Grant in 1931 — just before his 21st birthday in January 1925. Kelly’s memoirs, and the documentary, chronicle his volatile, on-and-off relationship with the actor over three decades. While Kelly stops short of claiming that Leach was his boyfriend — something the documentary states outright — Kelly leaves a clear impression of someone whose heart was broken many times. Grant died of a stroke at age 82 on November 29, 1986. I remember (must have been 1980ish) Grant getting all uppity about Chevy Chase, I think it was, dismissing him (in a chat show, I seem to recall) as something like "Oh, that fag!". Although Chase's remark was nasty at a time when being gay was even more unacceptable than it still is for some celebrities, and with AIDS just coming over the horizon, it was Grant's sort of of 'collusion' in the attitude that was notable, as shown by his reaction that just being gay was something SO terrible that it needed to be forcibly denied. Especially ironic in the light of what come out about Grant after his death.